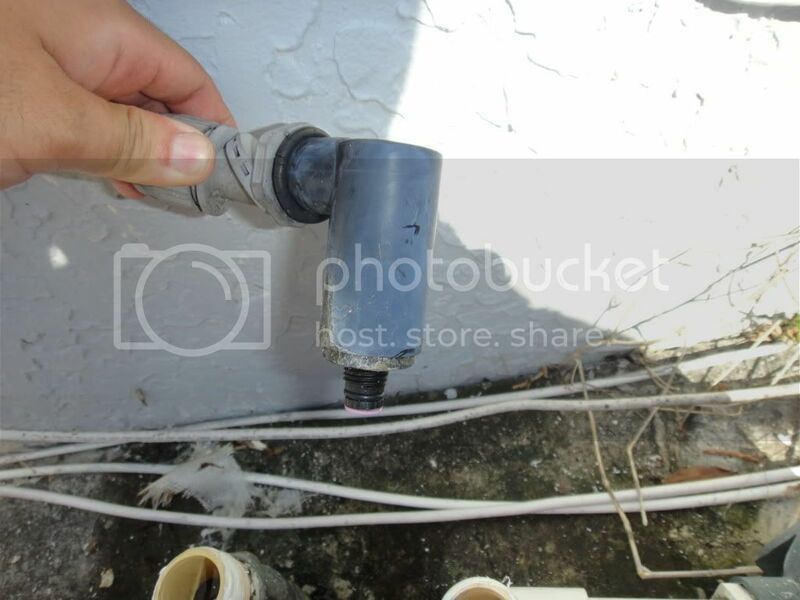 I am in the process of replacing the control valve for the sprinkler system in my mom's house. I ended cutting the pvc pipes as shown below. I was thinking of ordering a Rain Bird DAS/ASVF-100 anti siphon valve. My first question is that will this end connect to the siphon valve that I want to order? 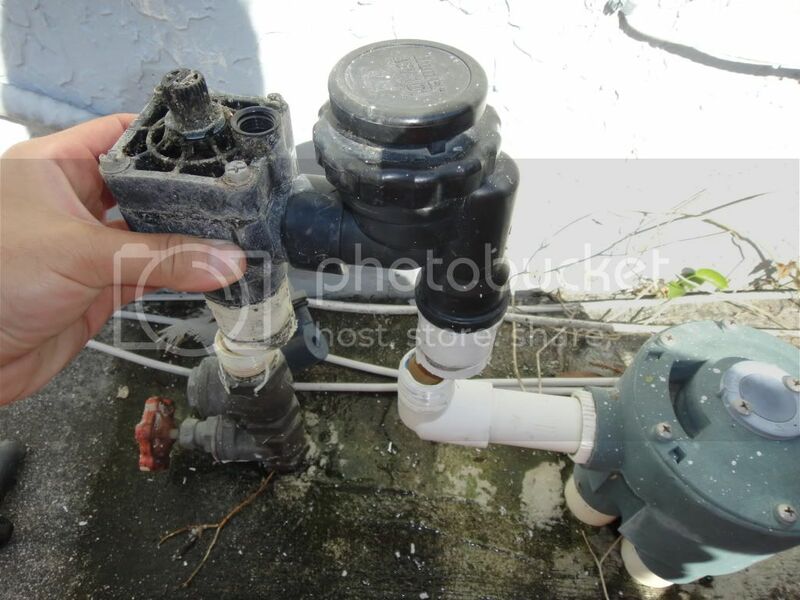 This end shown below originates from the sprinkler timer (Rain Bird ESP-6) and attached to the old control valve. My second question is what is the teal colored device on the right and is it replaceable? I tried unscrewing the L-shaped pvc that is connected to it and it wont budge. If you want to modernize the system, you could install four (the number of zones I'm guessing you have) new antisyphon valves, and a new controller, if needed. The teal-colored item is an indexing valve, and would not be needed, as its job is handled by the individual zone valves. The antisyphon valves need to be a foot or so higher than the highest sprinkler in the system. Irritrol 2713APR antisyphon valves is my recommendation. If all that is too much, only a Hunter antisyphon valve can replace the one you cut out, and connect with the Hunter solenoid. There are indeed four zones. If I were to modernize the system what would this entail? Would I have to fabricate something from pvc to split the one water source into four? Also, where would the other ends of the antisyphon valves go, would I remove the indexing valve and connect each antisyphon valve to a corresponding tube? I will be able to replace the solenoid, the wiring is pretty straight forward so I might opt to get the antisyphon valve you suggested. All new zone valves mean you saw out the indexing valve and connect the pipe ends to your manifold of new valves. I would not plan on replacing that particular solenoid, unless there is no choice. It looks like a solenoid that uses line voltage, which is not uncommon on systems with indexing valves. As mentioned earlier, if you want to keep that indexing valve you need to find the highest sprinkler head and raise it one foot above. As far as re-working your system and eliminating the indexing valve, take a look HERE. Pictures and info on different types of valve manifolds. Since it's the antisyphon valves providing the backflow protection, they have the elevation requirement, as opposed to the indexer. I see indexing valves just about never. They aren't much good in areas where you need to winterize systems. I've never seen one either but I sure want to. No direct experience. My info comes from trouble shooting guides by the manufacturers. 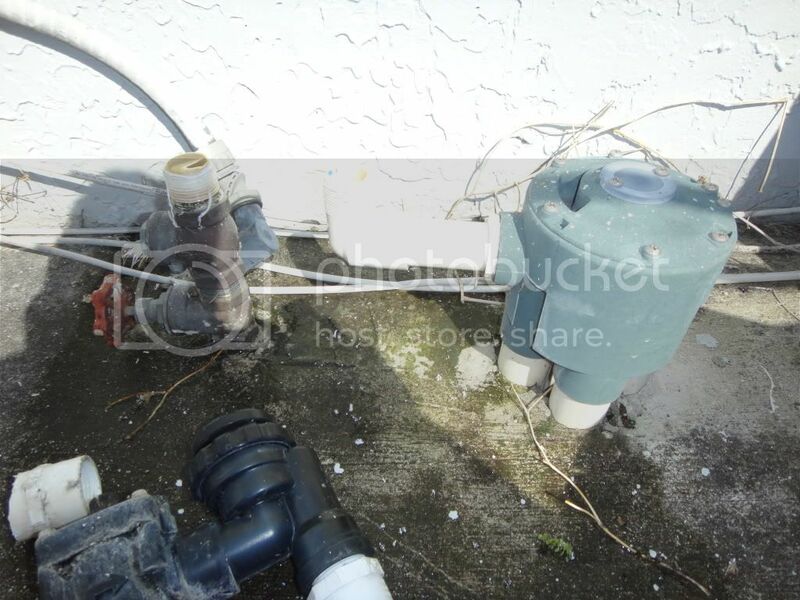 valve higher than sprinkler lines." K-Rain says "For installation with large terrain elevations, ... the valve should be installed at the highest point in the system, or check-valves should be installed near the valve in the elevated lines to prevent the back flow of water from the higher locations to the lower zones." Still, in the very same page K-Rain says: "...may be installed below ground in a valve box or directly buried." I just wanted to 'disconnect' the indexer from backflow protection - I can imagine they would have issues if downstream lines ran uphill from them - luckily, Florida is flat as a pancake. Yeah, I've been to Florida twice and don't remember seeing a hill anywhere. I honestly didn't think elevation was the problem but index valves are such a rarity it's hard to get solid answers. BUT LOOK!! Timing is everything!!! A blog will be posted on http://sprinklerwarehouseblog.com/ this week about indexing valves. Hey guys, thanks for all the help. I ended up replacing both the anti-siphon valve and the indexing valve. Everything ended up really good. I just have one last question. The anti-siphon valve (Rain Bird JTV/ASF-100) leaks water from the top of the vacuum breaker when I turn it off, is this normal? When the unit is initially off there are no leaks.. I then run it for a while still no leaks.. then when I turn it off sometimes water comes out from the top of the vacuum breaker. The vacuum breaker is the right half of the anti-siphon valve. The left half is with the solenoid. Doing some more reading on this forum I found out that what I am describing is normal. Thanks guys!